Opportunities knock at your door only once. Applying for plenty of jobs but not getting any interview calls? Looks like your CV could use some help. Are you a student seeking entry into the big corporate world? Or someone who is looking for better job prospects? Or did you have a long break from your work life due to unavoidable circumstances? Look no further, your life can be sorted and back on track by getting that one dream job you wished for. Your ticket to the industry of your choice is held by what impression you provide to your potential employer. 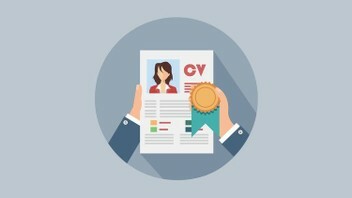 Your CV makeover to portray the best version of yourself at minimal rates right here. Amazing love my CV and she was super easy to deal with and fast! Great for people who don’t know how to do a good cv like me and a very affordable price. HIGHLY RECOMMEND! ?? Excellent service! Very professinal, Very nice person, easy to communicate, make over my CV, perfect! I got some interviews going on, thanks!